One of the ladies in our church is teaching Audrey how to crochet. I drove Audrey over there this morning and her husband, Fred, wanted to show me something. 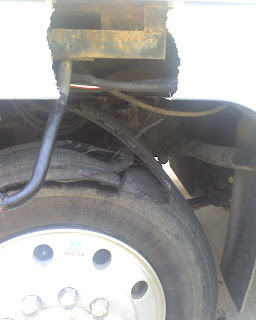 The left front tire on his motor home exploded! It exploded with so much force, it blew a piece of the fiberglass body off the coach. He told me that they usually go to bluegrass festival this week in Missouri or Arkansas, but neither felt good and they decided not to go. He said he thought it was a blessing that it didn't happen while they were driving 65 mph down the highway. 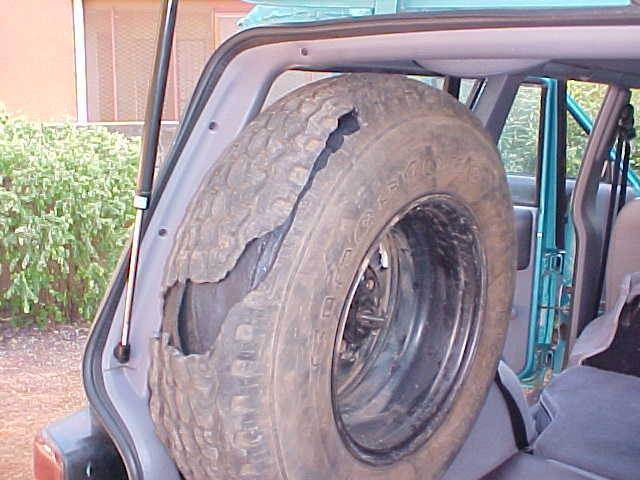 It reminded me of another time I saw a tire blow while just sitting there. It was when I lived in the Ivory Coast. Larry Rowell and I drove from Abidjan to Ouagadugou, Burkina Faso. 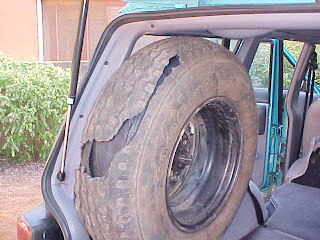 While we were in Ouaga, the spare tire on the Jeep exploded. 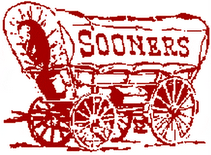 We, too, were happy we weren't tooling down the road (at the speeds that Larry drove). Last year we left Ft Lauderdale early to enjoy our anniversary in St Augustine. About an hour up the interstate the transmission began doing odd things. I pulled into a small garage business right off the interstate and the mech. checked it out, put in 2 qts of fluid, and told us to right back home. We made it home and moved all our luggage into our IMB company car. After leaving our personal car at a local garage we headed north again. As we were driving on I-4 in downtown Orlando the back tire bagan shaking badly. Before I could get over and stopped it blew up. It looked like your photo. So with a 6 foot wide car sitting on a 4 foot shoulder we changed to the temp tire. At the bottom of the next ramp was a Pep Boys so I pulled in there. To our surprise they had this car in their computer. So while we got two new tires (put on the IMB account!) the cashier showed me the list of everyone who had ever driven that car. We were the 8th or 9th couple assigned to it. We got two new tires and hit the road within an hour and still had a great time in St Augustine. Dude. Not only Larry's driving but those awful roads! Scary!